Core Banking System Upgrade Now Live! Choice Checking from Mechanics Cooperative Bank offers options that fit your personal banking style. However you like to bank, Mechanics Cooperative Bank has the perfect solution. 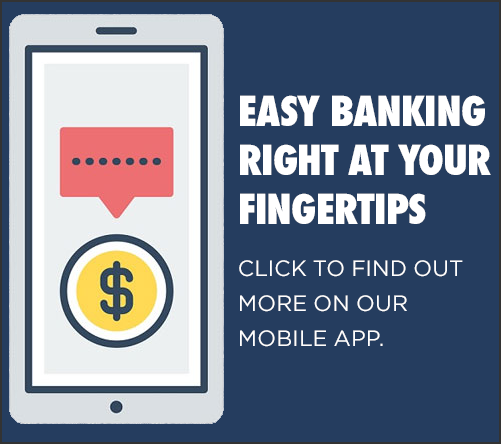 Absolutely no monthly fees – Exactly what you would expect from a FREE checking account. With this product, if you sign up for e-Statement enrollment and complete at least one posted direct deposit during the statement period, we will waive your monthly service charge, foreign ATM fees, and rebate ATM surcharges up to $15. With e-Choice Checking, you can access your account anywhere, anytime! Act’s like a money market, works like a checking! Keep a daily balance of $50,000, enroll in eStatements & have one posted direct deposit per statement period, to waive the monthly service fee & earn the Top Rate! This product is perfect for customers who maintain larger checking account balances and like to earn interest on their deposits. We also add premier rates to savings and loan products, higher limits on debit transactions and more to ensure our premier customers get the most from their banking relationship. This product offers unlimited check writing with free standard checks. Write as many checks as you’d like and never worry about fees! Get the most out of your deposits with the Unlimited Choice NOW account by earning a competitive interest rate on your balances. Are you 18 or younger, or 65 or older? If so, we have the perfect option for you! Earn interest on deposits, enjoy no minimum balance requirements, and pay absolutely no monthly fee. It’s the simple choice! Schedule of Rates and Fees. “Sweeps” Overdraft Protection is available for all checking accounts! A “sweep” allows you to use an existing savings account (with available funds) to cover overdrafts from your checking account. Please ask any Mechanics Cooperative Bank representative for details! Additional information can be found in our account agreement and fee schedule. © 2019 Mechanics Cooperative Bank. 1. Bill Pay will be unavailable on our current system from Tuesday, January 22nd through Sunday, January 27th and will be restored on Monday, January 28th. 2. Current eStatements will not convert to our new system. Customers are asked to please download and save or print eStatement history before Friday, January 25, 2019 (especially for tax purposes). Once the system has been converted, eStatements will resume going forward. For more information please visit our Core Banking System Upgrade page or call 1-888-MECHANICS (632-4264). By clicking on the “Continue” link below, you will be leaving Mechanics Cooperative Bank’s website and linking to an alternate website not operated by Mechanics Cooperative Bank. Mechanics Cooperative Bank is not responsible for the content of the website you are linking to, nor does Mechanics Cooperative Bank represent this website, nor will Mechanics Cooperative Bank represent you if you enter into a transaction at this site. The privacy and security policies at the site you are linking to may also differ from Mechanics Cooperative Bank’s policies. To ensure the protection of our customers personal information please do not include any specific account information in the email form below. Please call 1-888-MECHANICS (632-4264) for specific questions or requests regarding your account. Thank you. Due to inclement weather all Bank locations will be closed today, Tuesday, March 13th. We plan to open with normal business hours tomorrow. In the future we encourage all customers to monitor our Facebook and Twitter pages for updated Bank information. Please remember you can you always login to your accounts at any time via Internet Banking or Mobile Banking that includes Mobile Deposit. Telephone banking is also available at 1-866-599-6324. We appreciate your business and thank you for banking with Mechanics Cooperative Bank. Trade instructions sent via email will not be executed.